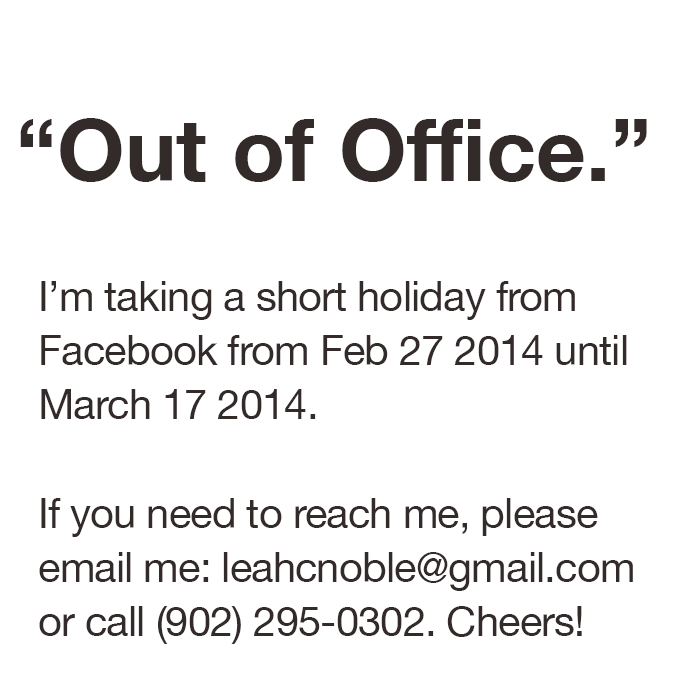 So two weeks ago I put up a graphic as my profile pic on my Facebook page that said “Out of Office”(below). I set a three-week period where I would not be available on the popular social media site. The truth was that I was fed up with Facebook, and burnt out on it. The graphic I made to be my profile pic while I took a three-week holiday from Facebook. For some context, at that point I was checking Facebook about every ten to fifteen minutes, starting when I woke up in the morning and often ending just before bed at night. I had it on my mobile phone, and although I had notifications turned off (so I didn’t get a “push notification” on my main screen whenever something happened), I could just tap the little blue “f” icon and immediately see the news feed, the number of messages I had, and the number of Likes or mentions. I also had it on my laptop computer, and was never signed out. I could open a browser window, click on Facebook and be right there. My classmates in Graphic Design, and my teachers, have a secret group on Facebook that we use to share information and communicate about our classes and activities. We all have email, but often, since we’re all Facebook users, it’s been easier to use the Facebook group to send a message to everyone in the class, quickly, like “I’m going to be late,” or “Tomorrow’s class plan has changed, now we’re covering X instead of Y,” or, “Here are the tasks for the group project we’re doing,” and tag everyone in the message. So since I like to be “on the ball” and “up to the minute” with what’s going on with school, I felt like I had to be checking Facebook as often as possible. I also use the social media site to run a group that’s associated with this blog. 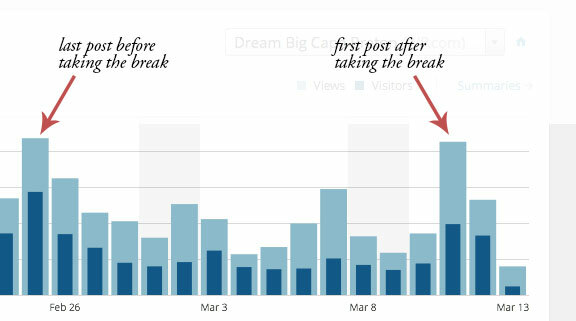 A good portion of my blog traffic comes from people clicking the links I post whenever I write a new blog post. I also try to promote some local events and neat stuff. I felt like Facebook was essential to being heard in my community, to being in touch with friends and family, and to being considered relevant and “in the loop”. This graphic shows a chart from the analytics for this blog, and shows the decrease of traffic during my Facebook “break”. And, Facebook is good for those things: keeping in touch, staying in the loop, sharing information. There are very good reasons to use it. But I was getting increasingly cranky and stressed out. I had a lot of schoolwork to do and was constantly distracting myself by going on Facebook. I suppose some folks could have just cut back their use, but I felt like I needed a total cleanse of it. So that’s what I did. Here is the post from my first day off it, and here is the post from the week after that, talking about how it felt to be without Facebook. Then, earlier this week, (my second week off Facebook) I needed to contact someone who I only have on my Facebook, I don’t have his email address or phone number. So I logged in, sent him a message, read through some messages and notifications, and then logged back out again. I didn’t get sucked in like I’d worried I would, scrolling and scrolling through people’s updates. Then, the next day, I was visiting my Mom and we like to watch videos of a friend’s new baby daughter, to catch up on what they’re up to. Mom doesn’t use Facebook so she relies on me to log in and show the videos to her. So I did that. I was definitely “cheating” on my “diet”, but oh well. When we were done catching up on little Madison in Newfoundland, I logged out, focussed on our visit, and that was that. It was after that that I decided I didn’t need to wait another week and a half, I was ready to go back to using it then. I think that once I had logged in a few times “in secret” and realized (a) everyone just carried on without me and (b) some people didn’t even realize I was gone, and had messaged me anyway, I realized that I didn’t need to be checking it as often as I had been. I had felt like I needed to be available at all times, responding quickly to notes and comments. I realized that no, I don’t. And by taking a total break from it, I learned how to set that boundary, for myself. How do you feel about Facebook? 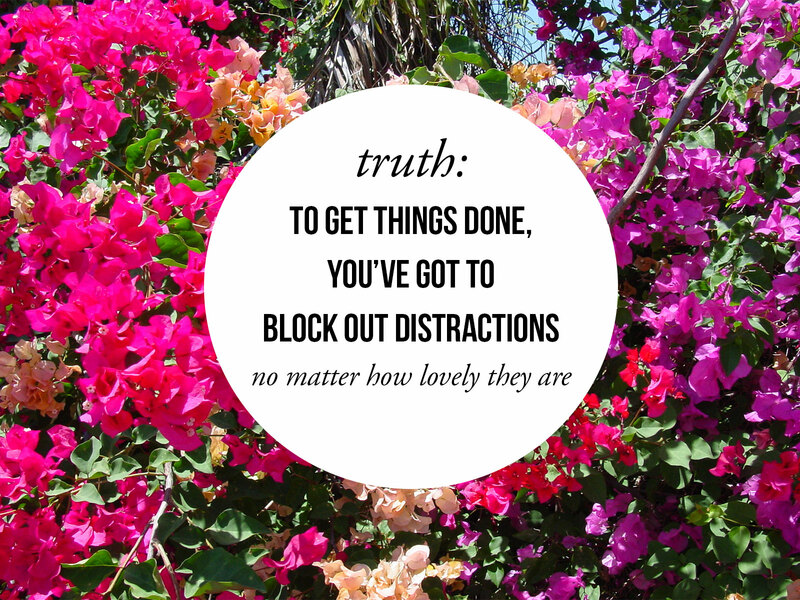 How do you protect your creative and productive energy? This entry was posted in Social Media and tagged blogging, Day to Day Life, Facebook holiday. Bookmark the permalink. I won’t answer your question directly, but if you’ve happened to read my blogs, you might have seen where I have hinted at some of my opinions about the social media. Good luck with all your activities.